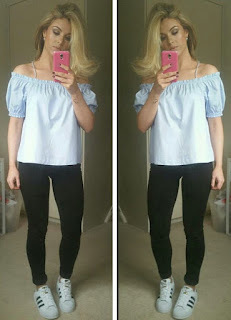 I always look to Instagram when I am in need of some fashion inspiration! There is hundreds upon hundreds of fab women & men with amazing style but I'm a sucker for stalking all of the bloggers pages! These six women our constantly in my recently searched history and you'll see why I regularly look to them for some fashion inspiration. And to make these women even better, they're Irish! 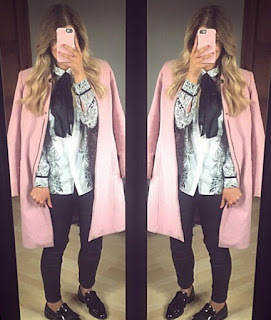 Pippa is a mum, a wife, an award winning fashion and beauty blogger, the owner of Pippa.ie and hosts her own workshops called Pippa's Fashion Factory. She has her own make up palette (the Pippa Palette) also, which is one of the best palettes on the market! Even though she is eight months pregnant at the moment her style is still as amazing as ever. 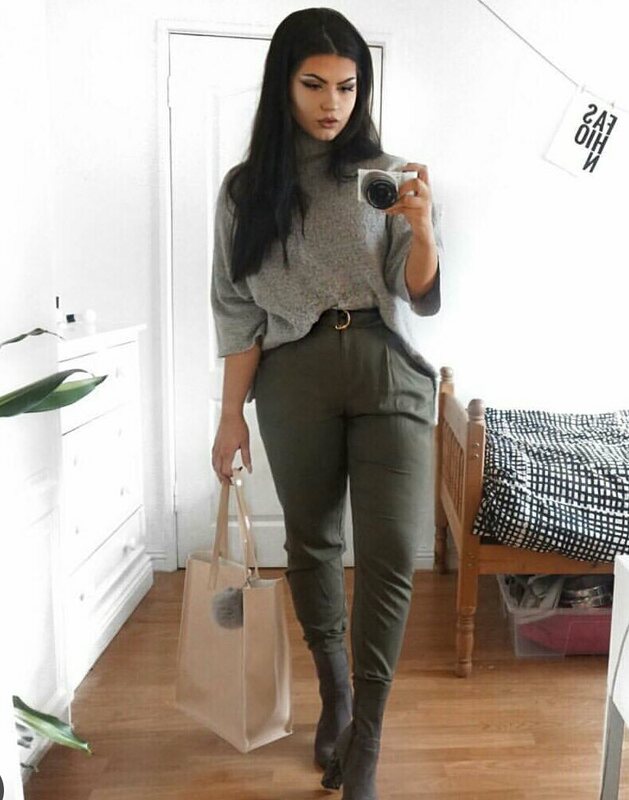 She can do casual and still look amazing! I love following her on snapchat too where she puts up her outfit details daily and does mini make up tutorials. Erika is the perfect blogger to follow on snapchat for one major reason, she lives in New York City! Her style is so sophisticated and bold. She goes by the name Retro Flame (which I love because of her long and wavy red hair). She has her own website (www.retro-flame.com) but I am warning you, following her on social media might make you extremely jealous of her amazing life over in the USA lol. She was also up for a young entrepreneur award in Ireland in 2015 and has been nominated for a tremendous amount of blog awards throughout the years! This young lady is a definitely one whose style I can relate to most, bomber jackets and plenty of trainers! She makes casual look dressy, something I know a lot of people can't do. Niamh is only 21 years old but has a follwing of nearly 19,000 on Instagram!! She owns her own blog called Love Life Blog where she uploads plenty of outfit posts to drool over! She has been featured in The Limerick Magazine Blogger profile talking about why she started blogging etc. This girl is also on snapchat and she is one to follow if you love getting an inside look at all the blogger events that take place! Local lady Aoibhe is the owner of The Secret Obsession website for nearly 4 years now. She is a fashion and beauty blogger but she also has posts talking about her experience living in Australia, why she came home and recently she is talking about her dental journey as she has just gotten clear braces! I love following Aoibhe's style purely for her jackets and coats, she must have 3 wardrobes full of them! From trench coats to blazers and leather jackets in various colours, she has every kind you can think of and probably more! She definitely has her own style which makes her stand out from most fashion bloggers! Freya is a fashion and beauty blogger with a love for nudes and monochrome! She is a girl who can have a whole outfit from Penneys and make it look like it was way more expensive! Oh and did I mention? Her winged liner and brows are ALWAYS on fleek...like how is that possible? I've noticed as well with her blog that she will wear something like a top of a pair of shoes and a week or two later you'll see the same trend/type of shoe or top in every shop or magazine, its like she knows whats gonna be in fashion before its in fashion! Michelle is my kinda gal, she is a Penneys fanatic and that will never change! Some pieces she does pick up from the likes of River Island etc. but most of the time her outfits consist of purely Primark! Her style definitley chops and changes, one day she could be wearing thigh thigh boots and a leather jacket and the next day she could be in an off the shoulder top and lace up pumps! She can work every look, well for some, and at the end of the day it just goes to shoe that Penneys can do no wrong!